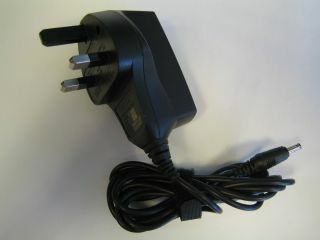 An alliance representing mobile phone manufacturers is making the universal phone charger a reality. The Open Mobile Terminal Platform (OMTP) alliance is an operator-led community that recommends mobile terminal requirements. It has agreed to promote a single, universal USB cable phone charger that would work with all mobile devices, regardless of what make they are. OMTP hopes its initiative will bring an end to the unnecessary waste and cost involved with consumers having so many different chargers to keep track of. You normally get a new charger with every new gadget you purchase, and there's often more than one supplied too - for charging up headsets, car kits etc. The average consumer changes their handset once a year, so it doesn't take a genius to work out that there's likely to be hundreds of millions of chargers and cables strewn around UK homes. The OMTP said it wants the micro USB standard to be used across mobile devices, just as USB has become ubiquitous within the computing world. "OMTP members are keen to pursue the single cable connectivity development due to its multiple benefits," said Tim Raby, managing director of OMTP. "We see these recommendations as a clear and demonstrable example of the work we are doing to make the mobile experience less confusing, less complicated and easier for consumers."